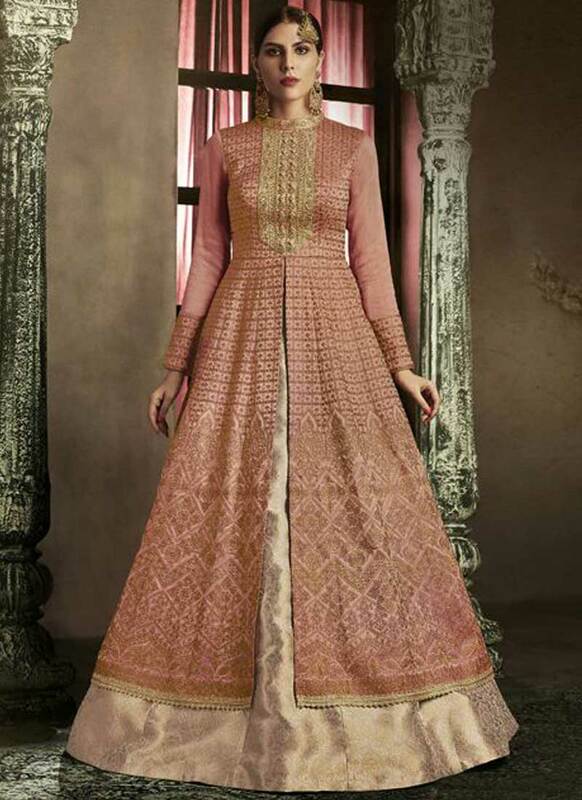 Rust Embroidery Resham Work Slub Silk Fabric Wedding Anarkali Suit. Buy Online Shopping Salwar Kameez At -Canada. 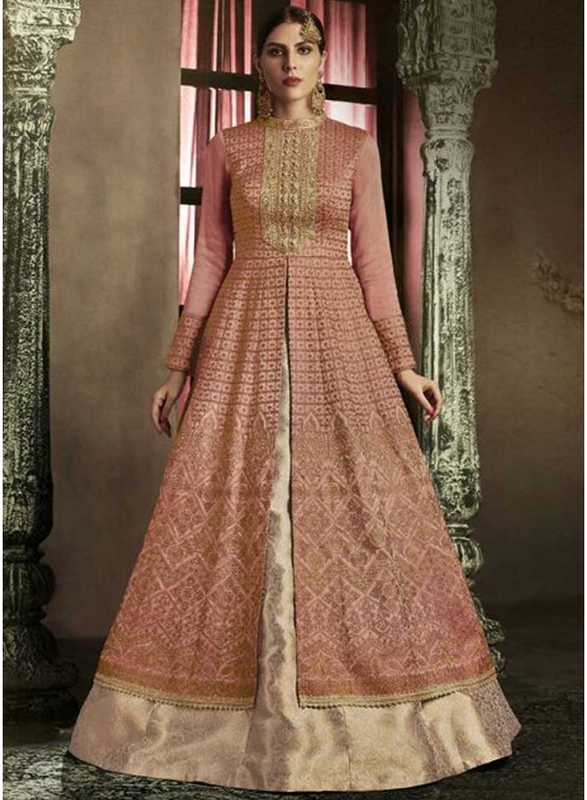 Rust Embroidery Resham Work Slub Silk Fabric Wedding Anarkali Suit. Salwar Kameez is Silk Fabric Top With Jacquard inner With Resham Work Lace Border And Full Sleeve Work Top. Bottom is Also Santoon. Comes With Matching Chiffon Dupatta With Lace Border.